Discover checkers in beautiful 3D graphics. Enjoy classical board game in multiplayer skirmish and defeat your friends in fantasy environment. 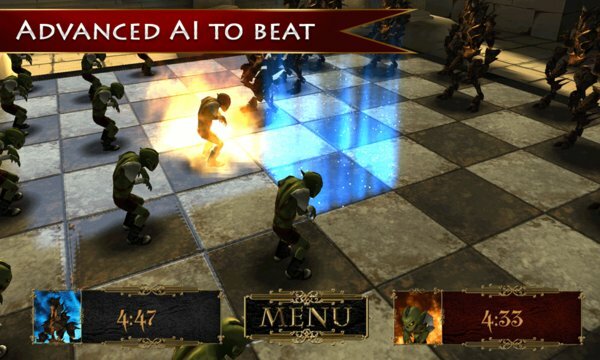 Train your skill in matches against sophisticated AI in 3 different fantasy environments. Fight with four different sets of pieces. Configure your own avatar.